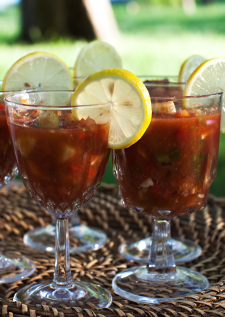 Gazpacho makes a great cold dish on a hot summer day. Combine all ingredients in large bowl, season to taste and chill till ready to serve. Serve in stemmed glasses. They are yellow, pink, blue, orange, purple, white— even black. They dance in the wind like fairies, their arms over their heads, the breezes blowing their ruffled gossamer dresses— the most beautiful of all flowers, the iris. When the Dallas Iris Society takes its annual bus tour on April 27, one of their stops will be Angel Iris Farm on Luella Road in Sherman. For over 100 years, folks still find out what’s going on in Trenton, Texas with a weekly copy of the Trenton Tribune. It has been owned and operated by the Holmes family since the beginning. Two years ago the Dallas Morning News was $1.50. Today it’s double that and half the size. How many folks are really throwing twelve quarters into that rack every Sunday?